Pharmatech Consulting, Inc. consults to the pharmaceutical, dietary supplement, biotech, manufacturing and other regulated life sciences industries. Headquartered in the Reedsville, PA, Pharmatech advises clients that range in size from startups to large multi-national corporations regarding projects in North America, Central America, and South America. The staff at Pharmatech is made up of professionals with many years of academic, industry and regulatory agency experience. Their practical knowledge combined with deep scientific knowledge is the difference that helps Pharmatech clients negotiate the complexities unique to regulated pharmaceuticals, dietary supplements, biotech, and life sciences, both in the United States and internationally. 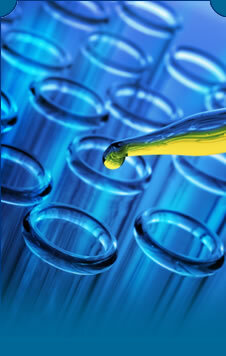 Pharmatech’s insight and expertise yields actionable answers to the issues confronting this dynamic industry. PharmaTech Consulting consists of experts who know what FDA and other regulatory bodies require of pharmaceuticals, dietary supplements, cosmetics, and other regulated products offered for sale in the United States or other countries throughout the world. Whether your company is large or small, domestic or foreign, we have the expertise to address your regulatory needs. We can assist you in bringing new dietary ingredients/products to market and to assure that they are grown, processed/manufactured, labeled, stored distributed and/or offered for sale in compliance with the established regulations. We can also assure that pharmaceutical, and cosmetic products comply with applicable regulations. 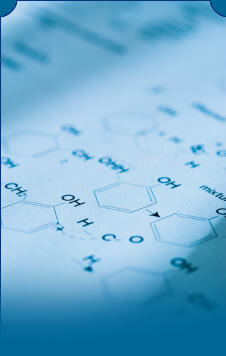 Providing consulting assistance on GMP compliance and conducting GMP audits. Reviewing laboratories for compliance with GMP requirements. Reviewing dietary supplement labels/advertising for compliance with regulations. Evaluating structure/function claims and preparing 30-day notifications for submission to FDA. Determining the safety of new dietary ingredients and preparing NDI notifications for FDA review. Designing clinical studies to substantiate product label claims. Reviewing the scientific literature and preparing petitions for FDA approval of conventional and qualified health claims for dietary supplement ingredients. Interpretation of rulings and policies of FDA and other agencies as they relate to products or practices. Registering foreign dietary supplement facilities with FDA, and serving as the U.S. Agent for the registered firm. Providing guidance on import procedures, and assisting in obtaining clearance of products through U.S. Customs and FDA at time of entry. Assisting firms implement security measures to prepare for deliberate acts of terrorism. Providing recall advice and assistance as needed. Conducting audits of cosmetic manufacturers to assure compliance with GMP guidelines. Reviewing cosmetic labeling for compliance with FDA requirements. Evaluating the safety of cosmetic ingredients. Preparing color additive petitions for submission to FDA for approval. Designing clinical studies to document safety of ingredients, and to substantiate label claims. Serving as expert witnesses and providing testimony on litigation involving disputes over color/cosmetic regulatory matters. Serving as the U.S. Agent for foreign color manufacturers. Arranging and attending meetings with Agency officials on behalf of our clients. Interpretation of rulings and policies of FDA as they relate to products or practices. Providing updates and advice on current regulatory and policy developments at FDA and other government agencies. Providing management and employee training on color/cosmetic regulatory matters. Conducting cGMP, Quality System and pre-approval audits of manufacturers and vendors. Providing consulting services related to FDA pharmaceutical policies and procedures. Interpreting FDA policy and guidance documents related to cGMPs. 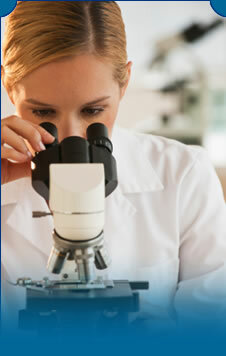 Prepare firms for FDA pre-approval inspections by conducting “FDA-like mock inspections”. In the industries regulated by FDA, such as those in the pharmaceutical, food, dietary supplement, and cosmetic business, compliance issues are of great importance. When disputes arise, the regulatory compliance status of a product or facility is often a key issue and can make a significant difference on how the matter will be resolved. In such cases, it is critical to have the assistance and advice of experts who are both experienced and knowledgeable in FDA regulations and industry practices, and who will be perceived as independent and objective. 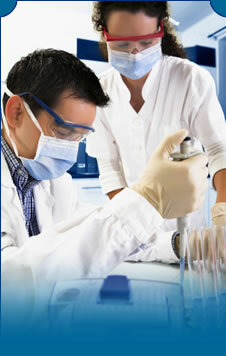 PharmaTech offers one of the most experienced groups of experts available on FDA regulatory compliance issues. We offer a team of industry professionals who will share their expertise with our clients. Our consultants have an average of over 15 years regulatory experience, and include some of the most well-known and highly respected names in the industry. As new standards and regulations proliferate, PharmaTech keeps abreast of the changing regulatory landscape, allowing us to deliver up-to-the-minute policy advice to our clients. Our experts have the knowledge, qualifications, and experience necessary to explain and clarify the issues to our clients and the courts, while establishing credibility and persuasiveness as witnesses. PharmaTech Consulting, Inc. has also formed strategic alliances with other regulatory service professionals/partners when your needs call for specialized attention. We started PharmaTech in 2010 because we wanted to help dietary supplement companies build stronger GMP programs. We provide practical and affordable solutions to a wide range of regulatory challenges that our clients are facing. After 20 years of work in the dietary supplement and food industries it's no surprise that our approach to consulting is business oriented. We're in business to deliver results and save money for our clients. We don't come from an ivory tower academic or regulatory background. But we do have decades of real-world experience serving client needs, managing regulatory affairs, QA, operations, and distribution. Working directly with clients is what we enjoy most! Dietary supplement companies operate in an increasingly complex business environment, and the GMP regulations definitely add a new element to the mix. Some companies have a good roadmap to GMP compliance, while others could use some help. But they all have one thing in common; they need to be sure their GMP programs are functioning and will withstand FDA inspection. No matter where you are in your GMP journey - we can help. Give us a call, we'd enjoy meeting you! To determine what is required for full GMP compliance we always take time to review the big picture with our clients. Once we're on the same page, we can work quickly to bring each functional area into a state of sustainable GMP compliance. Needless to say, the time to do this work is before the FDA inspector comes calling! We've worked with marketers, distributors, and manufacturers, industry leaders, specialty operations, internet companies, startups, and multi-facility operations. Some just want an SOP review or our training DVDs, while others opt for custom on-site training, full GMP Program critique, or an advisory GMP audit.